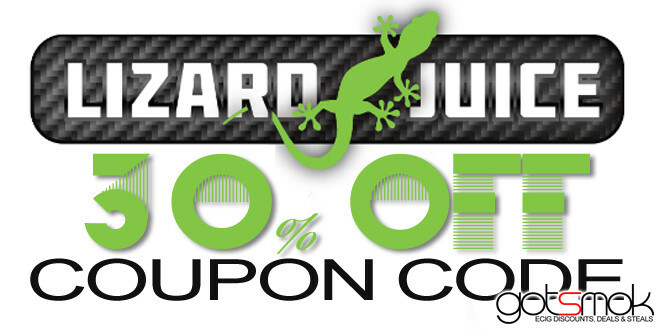 Lizard Juice Coupon Code 30% Off! Lizard Juice said share, share, share this coupon. Well, don’t mind if I do. =) I got this deal in an e-mail and I gotta say… 30% off is always a nice thing! =) Just use the coupon code “SHAREFOR30” at checkout and save 30% off your entire purchase. Perfect deal to try out a new vendor to find your new all day vape. Or stock up on the Lizard Juice you can live without. I personally wanna try there “Lizard Milk” juice. Coconut milk, pineapple & rum… yum. Sounds like my kind of juice.